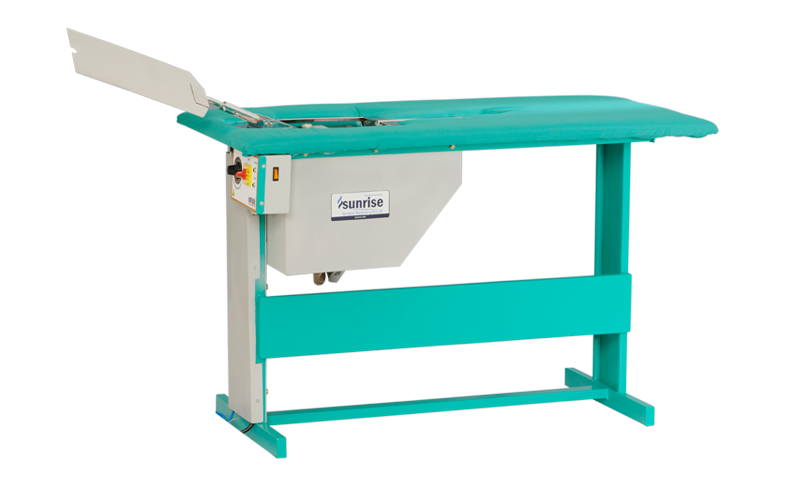 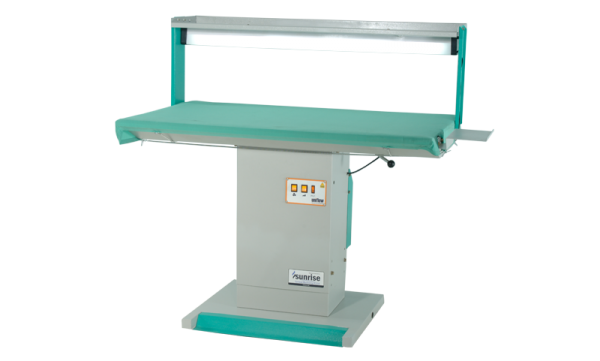 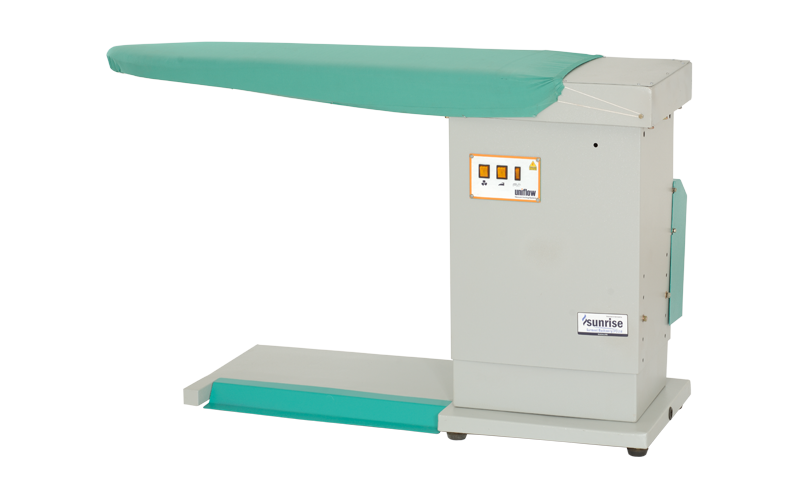 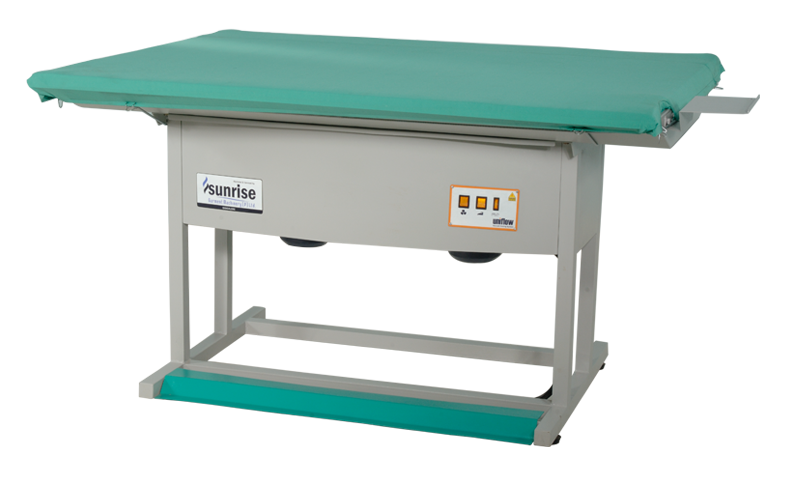 Uniflow vacuum Ironing Table has a Vacuum flat top table specially meant for regular size garment. 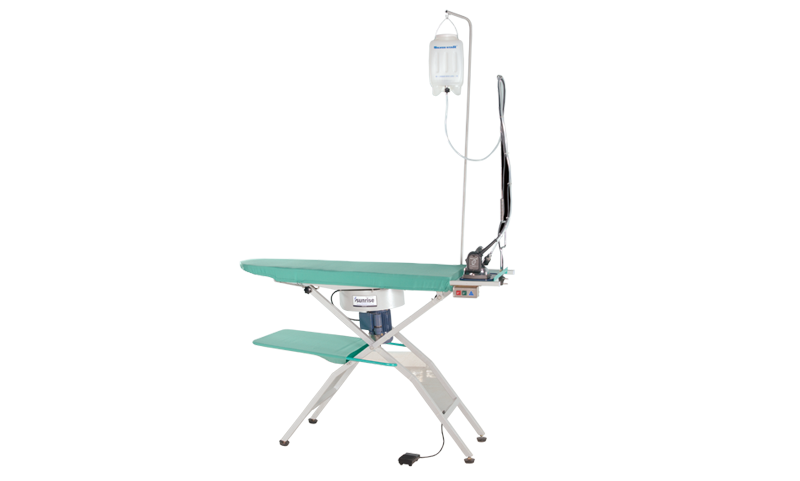 Super powerful vacuum keeps ironing surface dry without having to heat it. 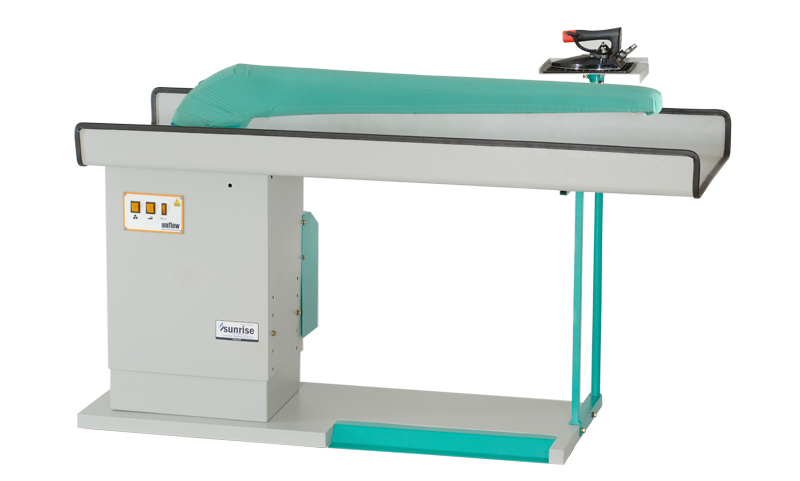 The high-depressed motor gives strong vacuum which guarantees a fast and lasting finish for any kind of garment. 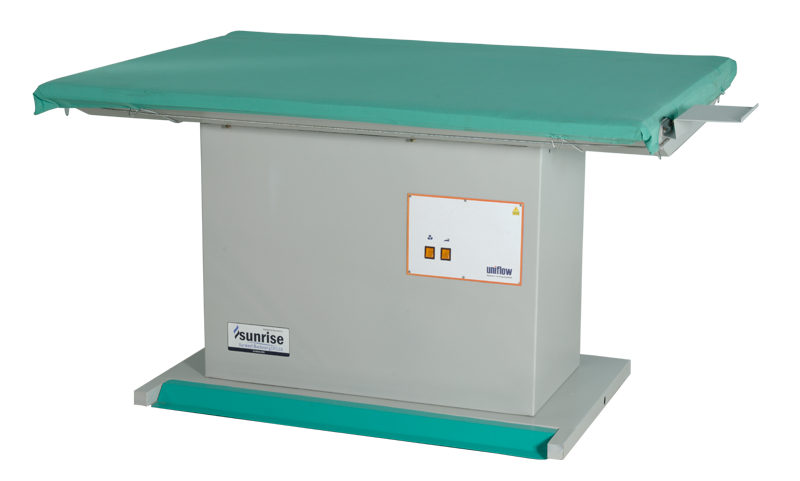 Foot pedal for autonomous function of suction. 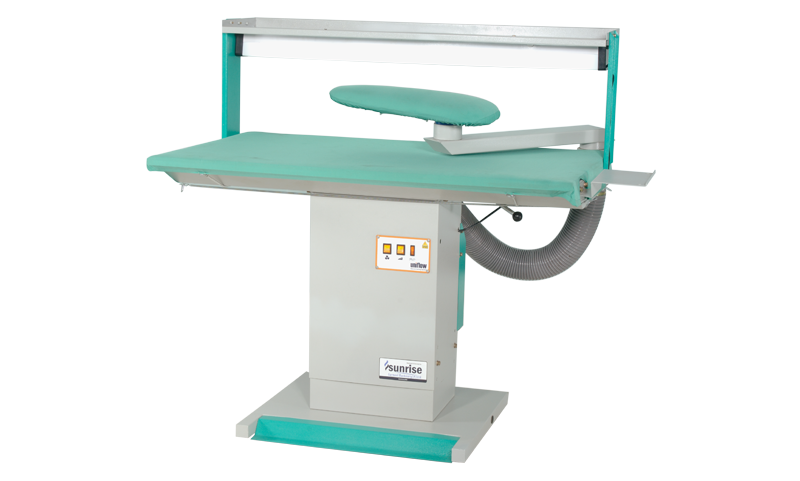 Interchange of suction between the table and the swivel arm. 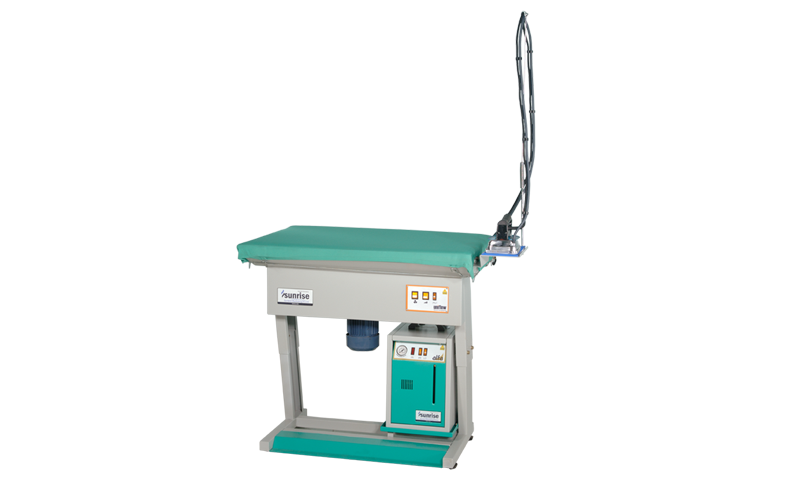 It has adjustable height for the operator’s convenience with built in lighting device.